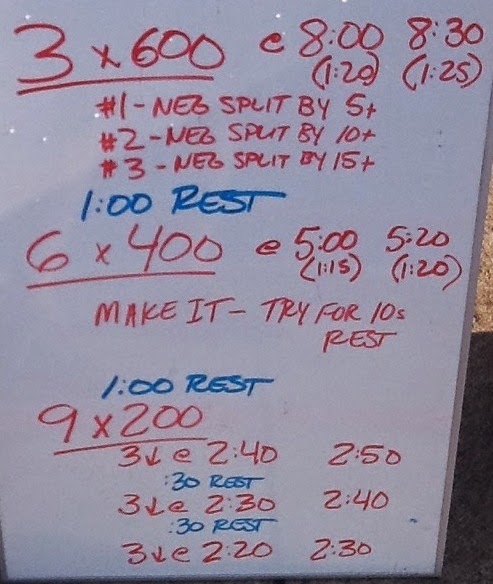 Another Distance Free Set that is FMO! Here is a set we did focusing on negative splitting. To get good quality negative splitting, we did these broken so the kids could read the clock and make sure they are hitting the split goals. I set the intervals somewhat loose to give them rest and allow them to read the clock. It really helped motivate them to swim fast. I saw some good splits. We did round 1 freestyle and round 2 prime stroke (+10 on the swim and 15 on the pull).